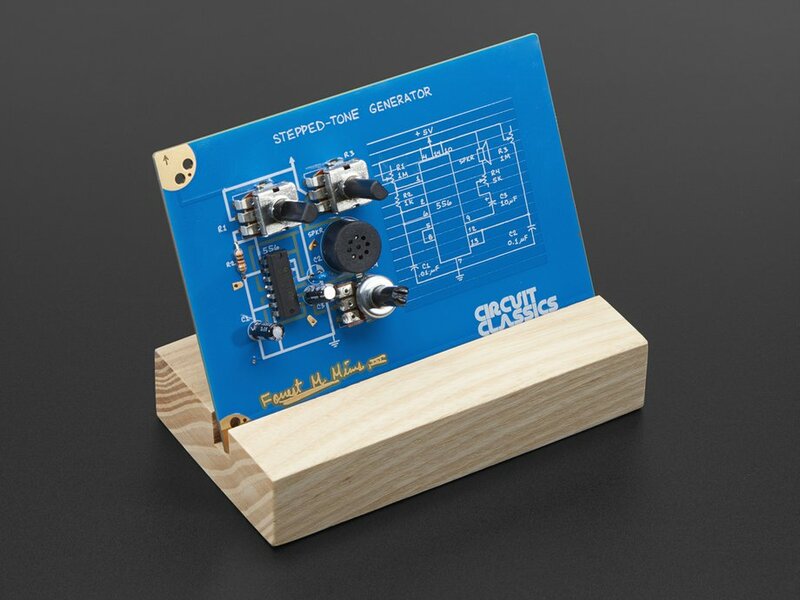 This is the Stepped Tone Generator. 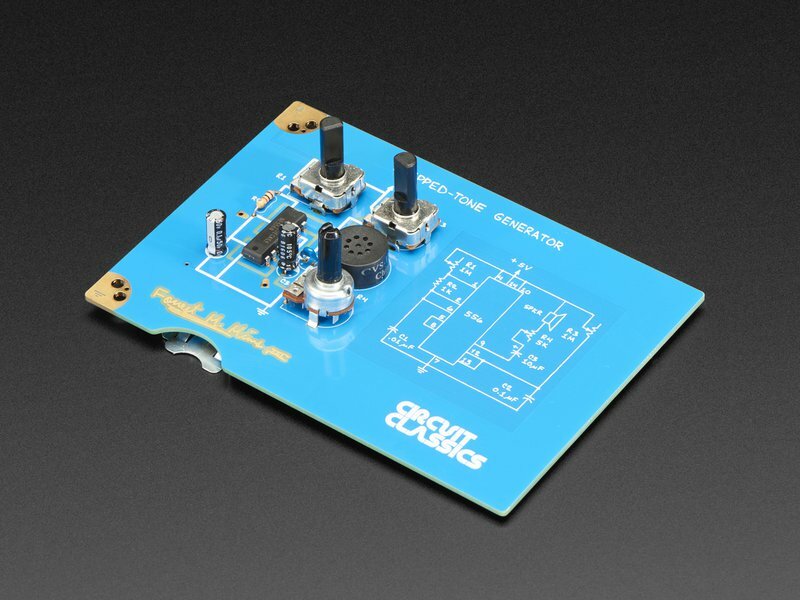 This circuit gained a life of its own, jumping from the pages of the 555 Timer IC Circuits Engineer's Mini-Notebook and out into the world as the storied Atari Punk Console. 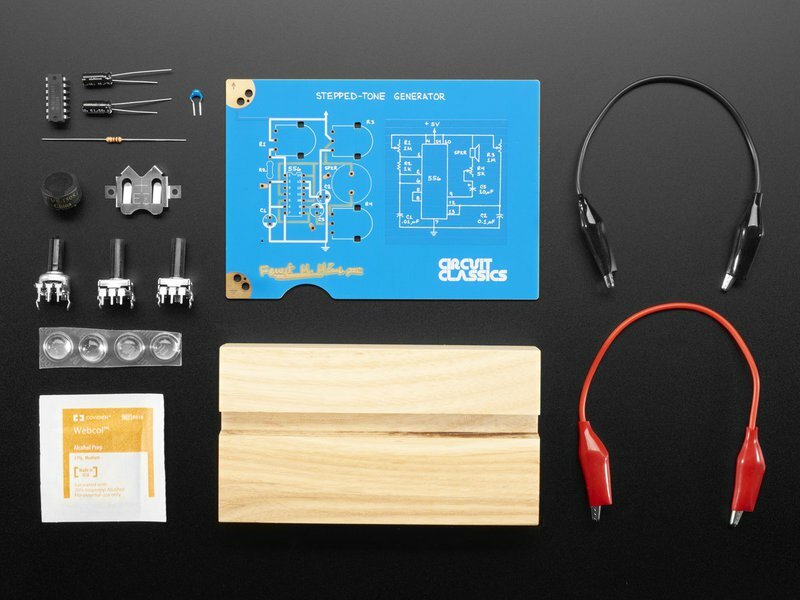 Well-known for enabling the creation of sounds just like classic Atari console games from the 1980s, this kit from Circuit Classics provides a fun audio-centric project, as well as an interesting introduction to digital circuitry, feedback, and oscillators.